Common Grounds // Spektre // THPshop. On a previous vacay to Dubai I came across The Sum of Us …a newly opened café in Downtown Dubai, the second in-line after the first success ‘Tom&Serg‘ from Tom Arnel & Sergio Lopez. Since then they have now opened a third cafe-Common Grounds, in Mall of the Emirates which I visited a day or two back. I had the best poached eggs yet. I kid you not. 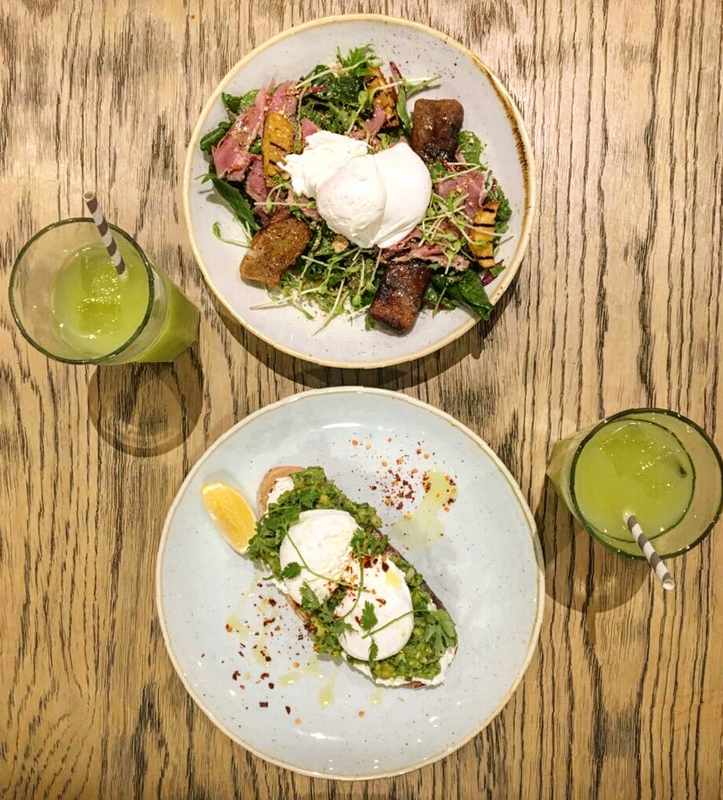 I opted for Smashed Avocado (this place is known for it’s use of healthy fresh ingredients and they love avocado-I love avocado…everyone’s happy) and I was expecting your standard poached eggs on avocado and some good flavour. What I got was a dish SO PACKED with flavour, and vibrant with colour that for a second I sat staring at it as it looked to good to eat-not for long because I managed to eat it all and leave not one piece on my plate (those who know me well can vouch that I usually always leave one bite…don’t know why, but always just the one). I’ve grown up always adding a little spice to my food-when you’re indian its just part of life so even when I make a sandwich I throw a little green chilli in to liven it up! So when I order out and see ‘chilli flakes’ as part of the dish I just kind of think ‘meh’ -they don’t really do anything for me so they may as well not be there! This dish on the other hand, had a wicked kick to it which I LOVED. There was so much flavour from the avocado-lemon, ricotta, a handful of sea-salt and chilli flakes that were actually Chilli!!! The crispy camembert and duck salad is also worth trying out-not your usual salad with almond-crumbled camembert and grilled nectarines and a poached egg or two if you fancy it. You get a feeling of the ingredients having been freshly hand picked and whoever was behind my food made me feel like they love food…which is just the best thing! On another note…what did I wear??? Totally in love with my new Spekre shades-I don’t normally opt for something so mirrored but I’m crushing on these 🙂 Also was the HAPPIEST girl this week as my THPshop.co bound ring arrived (this has to be the quickest delivery to Dubai ever. So happy! For those of you who love rings and follow fashion like I do you’ll probably already know of the The Haute Pursuit (she’s one of the names to know) and she launched her online shop THPshop quite some time back. It’s a collection of the coolest jewellery and clothing so check it out if you didn’t already see it on my snapchat! ← Cold Shoulder // Details.